I’ve always made all of my babies food, blending the carrots and pears, etc. Yes I’ve splattered the carrots on the ceiling using the hand blender, but who hasn’t! However, it’s not always feasible, sometimes you’re out where you can’t defrost and heat up the food you’ve made. When I can’t use my own food, I want to be able to use something that is as close as I can get to the real thing. 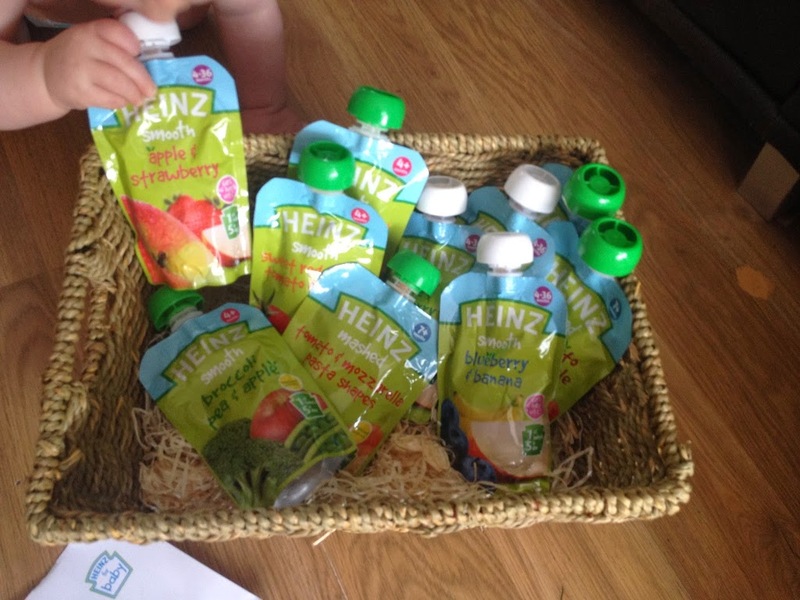 Heinz Baby Pouches seem to be that product. The are easy to use, the first stage ones you can add the spoon onto the end completely eliminating mess. However, the second stage and beyond are too thick to fit into the tube. I squirt the food out onto a spoon and feed it to Aria that way. She loves the pouches, she loves her food cold, if it’s warm she won’t eat it. Her bottles she likes warm and if cold she won’t drink them. She’s a fussy little creature, typical girl I guess. But it’s her wonderful personality shining through. 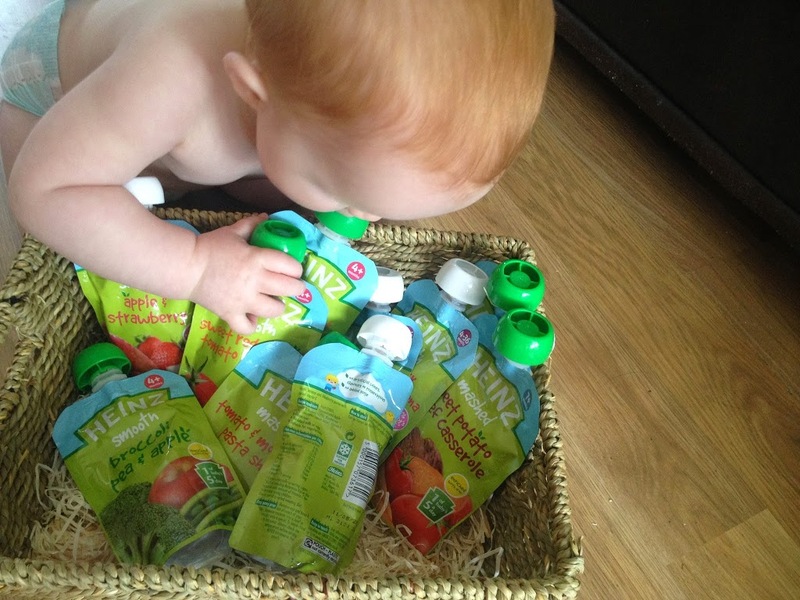 When the hamper of pouches arrived, she was right in there, grabbing them out of the basket and trying to put them in her mouth. She clearly likes her grub this one and approves of these pouches. Only yesterday she was at her Gran’s and I hadn’t had time to prepare her meals, so I put in a pouch, they are just so darn convenient for when out and about, Aria went into the baby bag, took out the pouch and a spoon and crawled over to hand it to her Gran. What a clever little monkey she is. I wish I’d been there to capture that moment. The fruit pouches contain 60% of baby’s daily vitamin C, the savoury pouches are enriched with iron and all pouches contain at least 1 of their 5 a day. The fruit and savoury pouches help give babies a varied diet during the weaning process as they come in a range of flavours for babies of 4+ months (smooth) and 7+ months (mashed). I think these pouches are excellent for convenience and for flavour, yes I tasted them. They were actually very tasty. Just as good as the food I make. Aria approves and eats them all up, so they get the thumbs up from little Miss Fussy.